Dr Emily Manning spent a very interesting morning with the children of Histon and Impington Infants School as the children had spent some time learning about what doctors do for us. 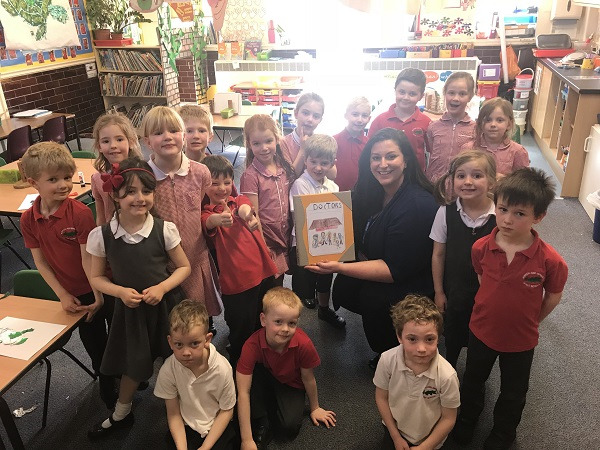 She was presented with a book that the children had made. Dr Manning attended Histon and Impington Primary School to spend some time with the children as they have recently been doing a project on what our doctors do for us. Firs House PPG invites you to "On Balance" - Tuesday 19th March - 1500 - 1645 at Cottenham Community Centre. See our PPG page for further details.